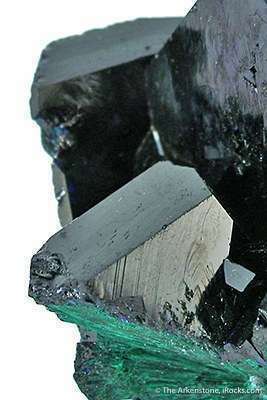 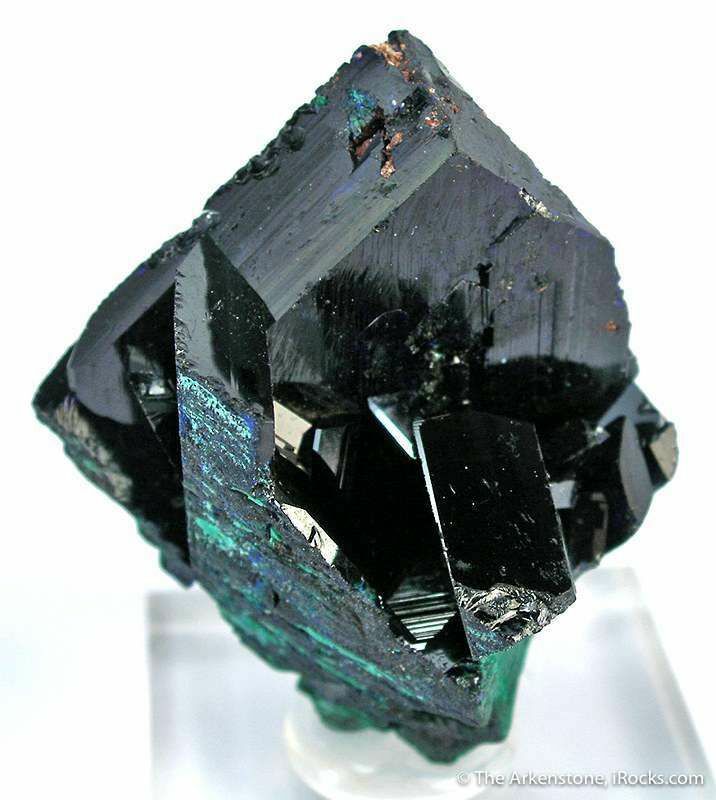 A sharp, robust crystal with sidecars, showing slight alteration to malachite. 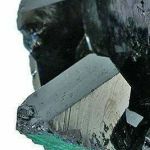 This is a really striking miniature overall, though it does have some small dings that detract along the rear crystal edge, and a contact to the lower-left edges; and hence a lower price. 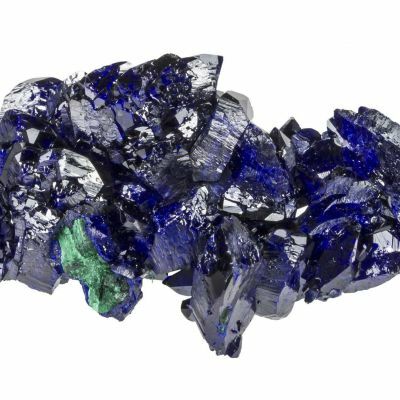 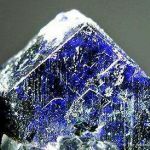 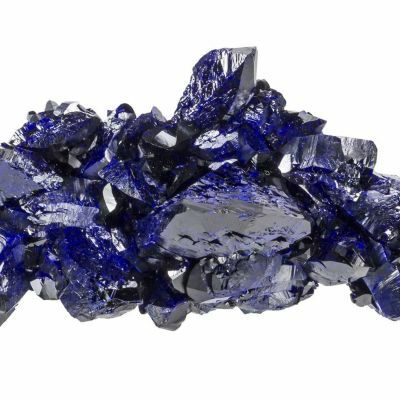 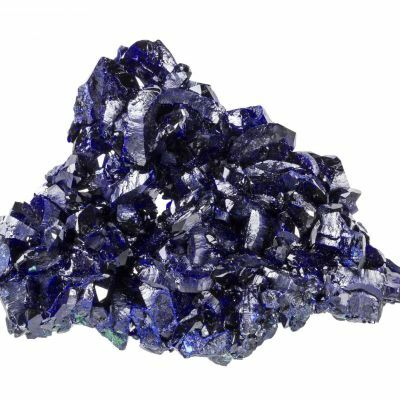 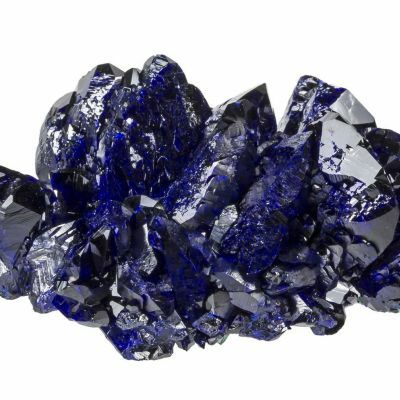 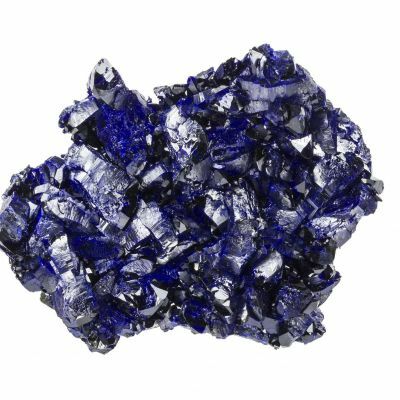 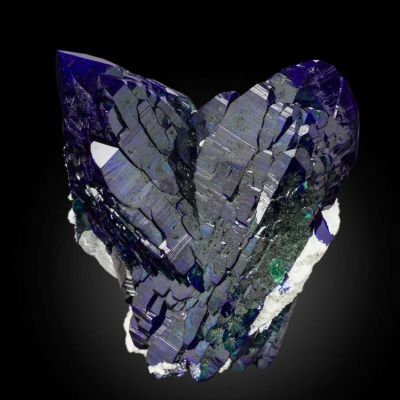 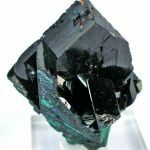 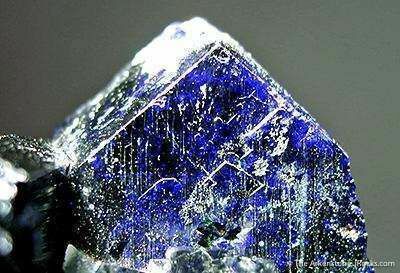 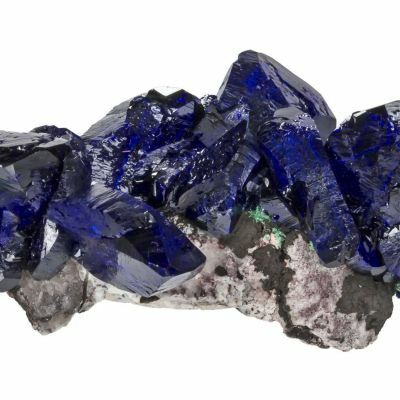 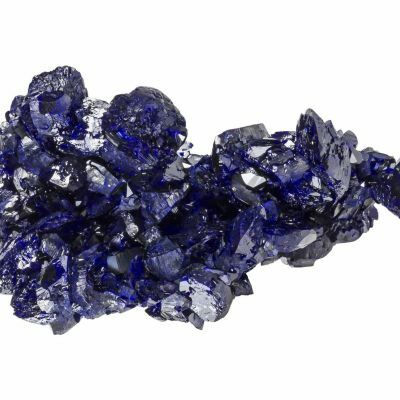 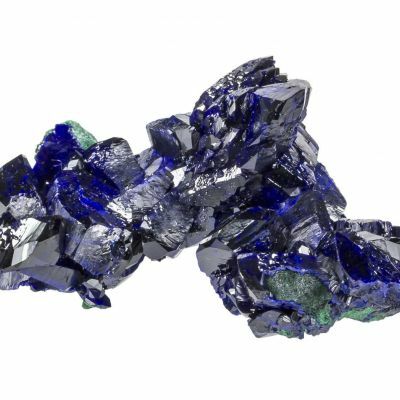 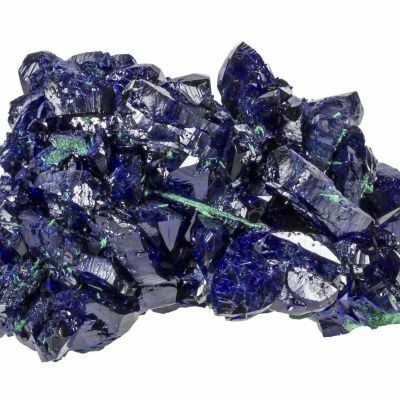 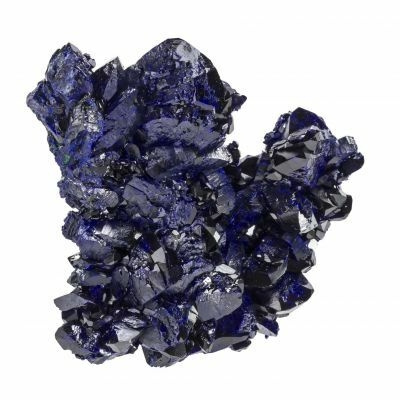 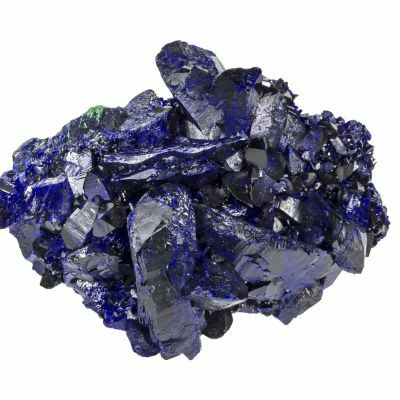 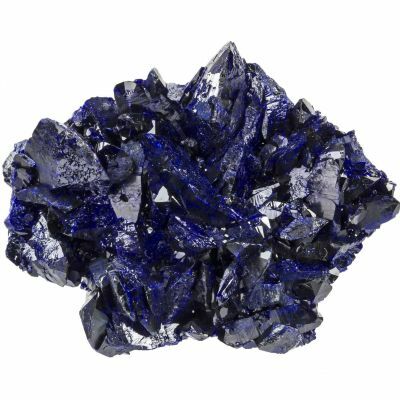 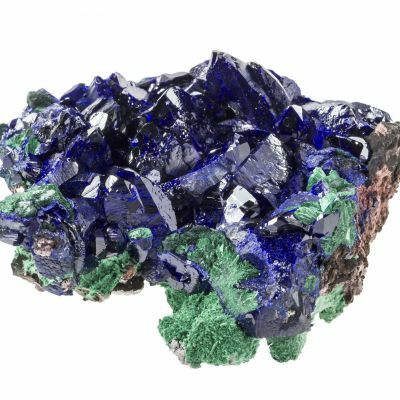 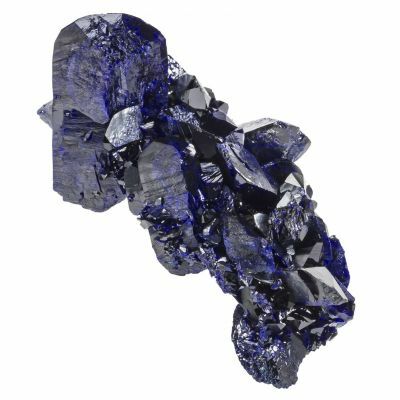 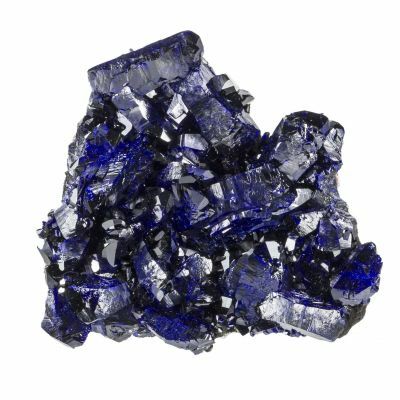 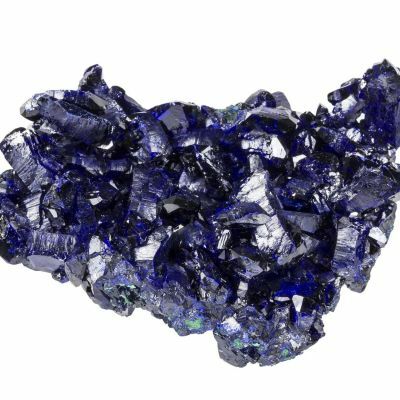 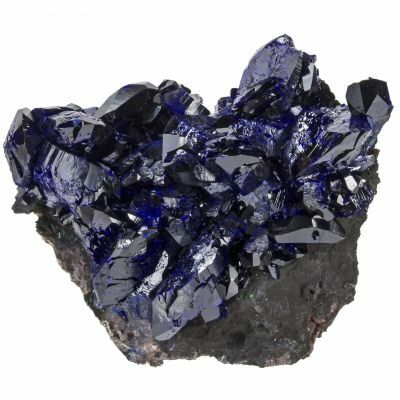 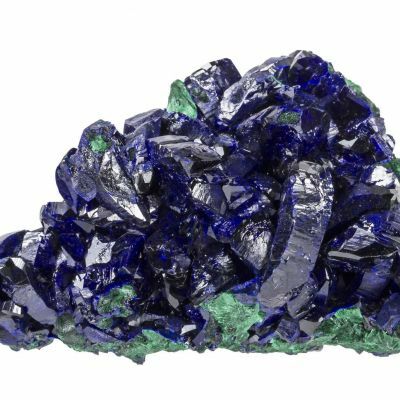 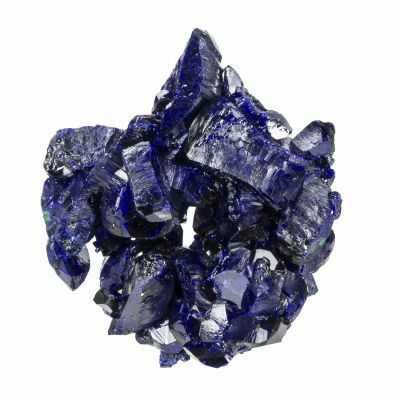 Nevertheless, one normally does not see such robust azurite crystals from Mexico, and it is beautiful on display.